How many times have you got lost in a foreign country? Most of the times, you end up in wrong place and wonder if you had taken any wrong turn. You ask a local the route towards your hotel, only to be answered in the native language that you know nothing of. Confused as to what to do? You realize that you have a map in your bag. Excitedly, you take out the same only to end up being more confused. Had you not slept soundly in your geography class at high school, you would today have known how to read a map. Know that a map is our only guide in an entirely different and alien region. It helps us find the easiest way to our destination or perhaps, the destination itself. Reading a map is not as easy as it looks. For the same, you need to first get your hands on a map made for the purpose, for there are different types of maps available. A map can be topographic, political, climatic, road maps, resource maps etc. Each map has its own properties and importance. 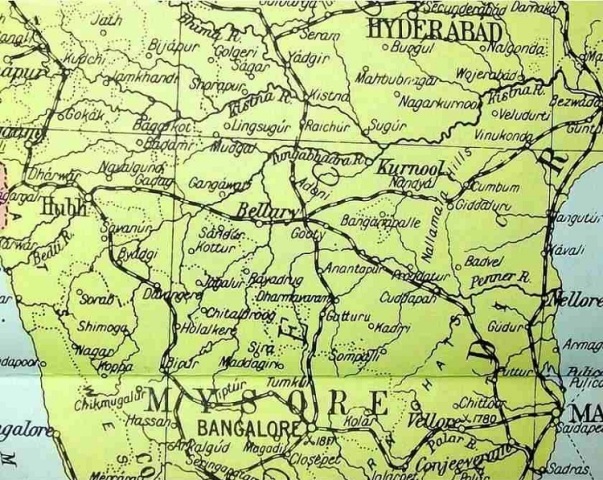 While topographical maps determine the topography and landscape of a place, road maps help show the different roads or routes available between various stations. A road map also informs the readers about the distance between the two stations and is mainly used by road drivers or tourists. A brief knowledge related to maps is important and compulsory for every tourist or traveler. A tourist must know how to check the landmarks, index, and scale in a map. A slight difference or mistake in reading can lead you to an entirely unknown spot. In the following lines, we have provided you with a simple guide that will help you in reading a map. Before looking for a location on a map, make sure you choose the right map according to your needs. There are different maps available in market, like road maps, tourist maps, political maps etc. As such, if you are using your car for traveling, you should consult a road map, but if you interested in checking out various tourist attractions, you can confer with a tourist map. It is among the basic steps of traveling or perhaps the map reading. To use map as a navigational guide, first of all you need to be sure of your location. Without a starting location, there would be no hope of locating a route to the destination on map. To identify your location check out for landmarks listed on the map. The landmark could be anything, right from a river to a building or a place of worship..
Now as you have located yourself on the map, the very next thing to do is locating your destination. If you just want to go from one place to another, you can easily mark a single route for it. But if you have many places to visit, then you have to find out a way such that you can visit all the destinations in shortest possible manner. You can start by going to the nearest location first and further after that. You have located your present position and your final destination. All set to trail towards the decided route but confused as to which direction to take? Take help of a compass. Compass and map go hand in hand. Once you know your route, it is time to check the compass and look out at which direction you need to head to. However, if you don’t have a compass, worry not. You can use a map’s index which must be carrying names of some landmarks. Map index sometimes also carries the distances between the two destinations. Plan your route of journey in your mind first. You can plot it on map with a pen for reference. If you miss something you can countercheck the landmarks for the correction. Refer to it constantly. Next time you are all set to explore an unknown place, don’t forget to pack in a compass. The moment you land at the city/country, purchase a local map and you are good to go! Venture out and enjoy the bliss of the place, without getting lost!